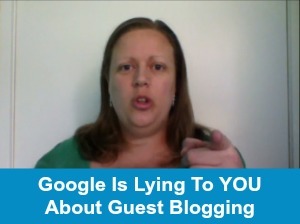 So Google is calling guest blogging dead? I don’t want you listening to them. Hi, I’m Caylie from Better Business Better Life and I’m here to tell you today that guest blogging is so not dead. A little while ago, Matts Cutts who is like the connector between web designers, web developers and Google and the SEO world (search engine optimisation), claimed that guest blogging was dead. Google is no longer putting the same value on links within bios of guest blog posts and so there was no value in guest blogging anymore as a strategy to grow your business. Well Google you’re wrong. Guest blogging is so not dead. The real value when it comes to guest blogging is actually the content and the way you use your pitching; the way you choose your topics; which blogs you post on; and how you drive traffic from your guest post back to your website plus where you direct them to. So not just the homepage but an actual landing page that makes an offer, an opt in offer, that gets them to subscribe. So sure, your guest posts may not help you get higher in Google rankings or whichever search engine. Are there any others? We barely hear of them. But guest blogging is absolutely a tool to grow your list and if you think otherwise, I’m here to tell you don’t listen to Google, they’re wrong; the value is there. I have my posts accepted, the pitches, accepted 93% of the time. So whenever I approach another blog, the owner of another blog to guest post for them, I am accepted more than 93% of the time. 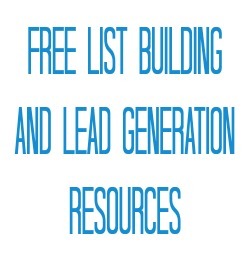 My guest posts drive on average 40 new subscribers to my list every time. Sick Of Paying For Facebook Ads? So, you know, you can pay for Facebook Ads and trust me I pay for Facebook Ads too to grow my list, but if you want to balance it, and you should always have more than one way of growing your list, you don’t want to be totally reliant on one source of new subscribers; get guest blogging as well. It will build your list and you need to be focusing on it. I’ve just developed a whole new self-paced ecourse called ‘Seductive Guest Blogging…how to lure them back for more.’ So it is, it’s all about addressing how to get people’s attention, the readers of the blogs you are posting on; get their attention and attract them back to check you out more. Give them the way to get back and show their affection and appreciation for what you’ve written but also offer them a little present, a little incentive to sign up to find out more. It’s a great way to get your target audience back to your website. 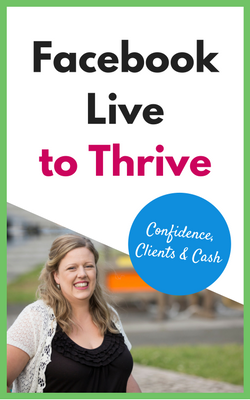 I’m going to give you within Seductive Guest Blogging everything from exactly the pitch I used to appear on LKR Social Media, Laura Roeder’s website; I’m going to give you how to actually drive people back to your website, and it’s not, it’s so not just about the link in your bio; and so much more. Now I want you to really think about this. Just today and for 24 more hours, I’ve got a pay what you want special on Seductive Guest Blogging. 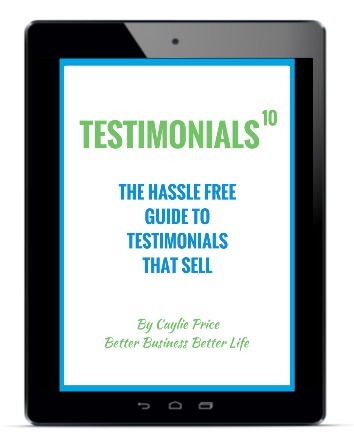 I want to make it so that anyone can get a copy of this ecourse. It starts on the 26th August. I want you to be able to opt in and seriously grow your list so if you’re thinking about guest blogging as a strategy, and you should be, be sure to click the link below this video and get in before the price increases to $197, which will be its full price. It’s pay what you want. 24 more hours. Get moving.